Enticing aromas of guava, ripe tropical fruits, vanilla and dried apricots combine with complex notes of cashew nuts and brioche. A soft and opulent front palate leads seamlessly into a mid-palate offering dried fruit and yeast derived savoury creaminess. 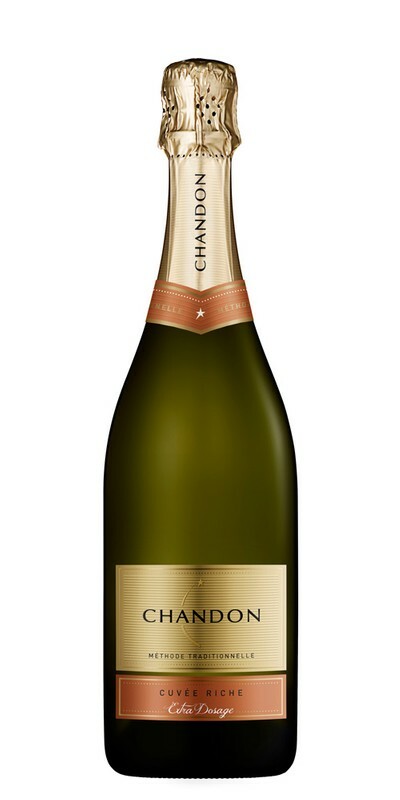 The Cuvée Riche shows generous weight and balance, finishing long and refreshingly crisp. Grapes were sourced from a range of cool climate viticultural sites in the southern wine regions of Australia, including the Yarra Valley, Strathbogie, Upper Goulburn and King Valley (Victoria) and Coonawarra (South Australia). Soils at these sites vary from free draining sandy loams to aged alluvial loams with high clay content. Vineyards are planted to various densities depending on the soil type, ranging from 2,222 to 5,000 vines per hectare, with an average yield between 10 and 12 tonnes per hectare. Most of the selected vineyards are trained to the standard vertical shoot positioning trellis to minimise the development of phenolics and tannins whilst maintaining vibrancy of flavour. The traditional sparkling wine varieties, chardonnay, pinot noir and pinot meunier, were harvested from mid-February through to late April at 10.9° to 11.7° baumé. The grapes were gently pressed and fermented separately to preserve the unique characters of each variety and vineyard site. When the primary and malolactic fermentations were complete the individual components were settled and stabilised ready for assemblage (blending). After four to six weeks of careful assessment, the winemaking team selected base wines on their individual aroma and flavour characteristics, as well as the weight, strength and length they brought to the final blend. In order to capture a consistently rich and fresh style, judicious site selection, blending expertise and the selective use of reserve wines were employed by the winemaking team. Approximately 20% reserve wines from previous vintages were selected, enhancing the complexity and structure of this luscious style. A small amount of sugar and cultured yeast was added to the blend and the wine was bottled and sealed under a crown seal for the second fermentation. After ageing on yeast for a minimum of 30 months, the bottles were carefully riddled and disgorged. A carefully selected reserve wine and sugar dosage liqueur was generously added at disgorging to create the luscious and rich characters that epitomise this style. The bottles were then sealed under cork and aged for a further three months before release.